Dr. Palmerola is PGY-3 Resident, Department of Obstetrics and Gynecology, Columbia University Medical Center, New York, New York. Dr. Truong is Fellow in Minimally Invasive Gynecologic Surgery, Columbia University Medical Center. Dr. Advincula is Levine Family Professor of Women’s Health, Vice-Chair, Department of Obstetrics and Gynecology, and Chief of Gynecology, Sloane Hospital for Women, Columbia University Medical Center. He also serves on the OBG Management Board of Editors. An essential but often overlooked component of a successful minimally invasive gynecologic procedure is uterine manipulation. Regardless of whether conservative or extirpative surgery is being performed, the ability to optimally position the uterus within the pelvis is critical to safe and efficient surgical dissection. The addition of a colpotomizer cup to any uterine manipulator further enhances the ability to perform a conventional or robot-assisted laparoscopic hysterectomy. 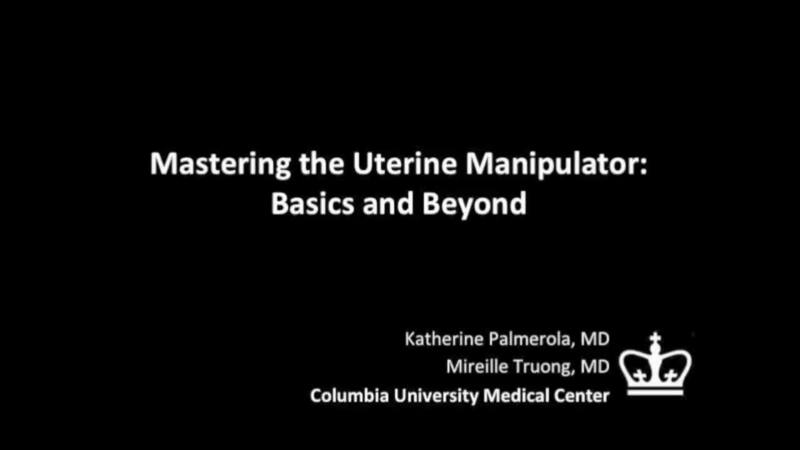 The following video, produced by my third-year resident, Katherine Palmerola, MD, and my second-year fellow, Mireille Truong, MD, aims to provide a quick reference for gynecologists to use to help teach their surgical assistants the fundamentals of assembly and use of a uterine manipulator. This video also can be used as a resource for educating residents and medical students on the essentials of uterine manipulation. highlight important clinical applications of uterine manipulation during pelvic surgery. I hope this video proves to be a valuable resource for your practice. • Simple versus radical hysterectomy: Anatomical nuances. Share your thoughts on this video! Send your Letter to the Editor to rbarbieri@frontlinemedcom.com. Please include your name and the city and state in which you practice.